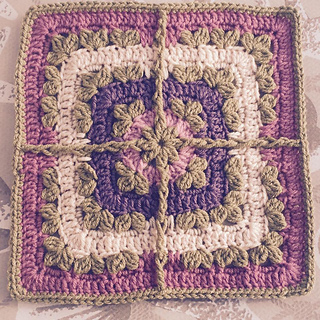 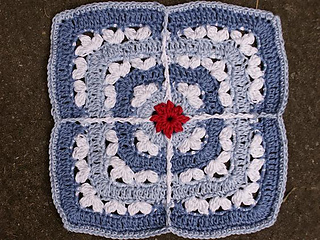 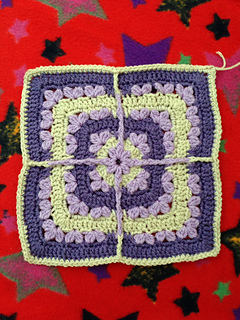 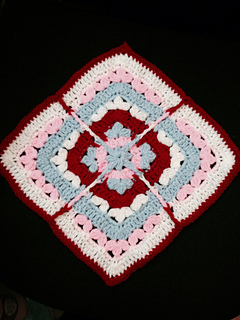 This is a fun-to-crochet square pattern to add to all your sampler afghans. 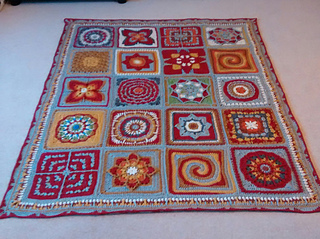 Would also look stunning as a full afghan as all the window panes connect in pattern. 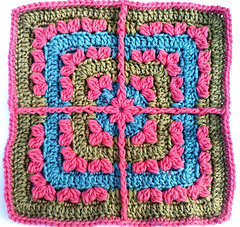 Basic crochet stitches plus double crochet clusters and a few front-post trebles are all you need to complete this solid square. 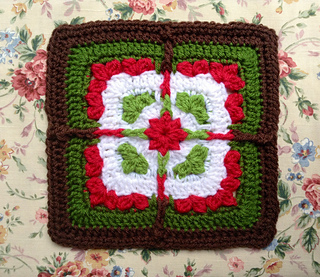 Works up quickly and color changes give a whole new look to each block. 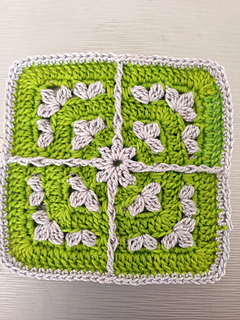 Thanks for your interest in my patterns. 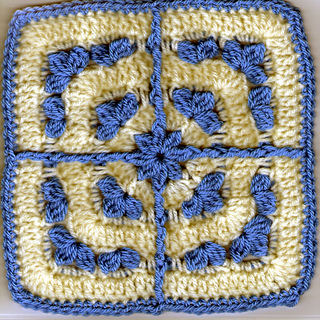 Come discuss this square on the Julie Yeager Designs board on Ravelry. 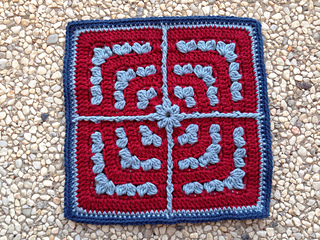 See all my patterns at my Ravelry store.